IC&S is the North American logistic center for ILVA wood finishes. Located in scenic Lancaster County, PA, IC&S handles a wide range of ILVA products to meet every finishing need and work environment. We specialize in interior and exterior waterborne systems, UV cured finishes, polyester, polyurethane, and acrylic urethane systems. 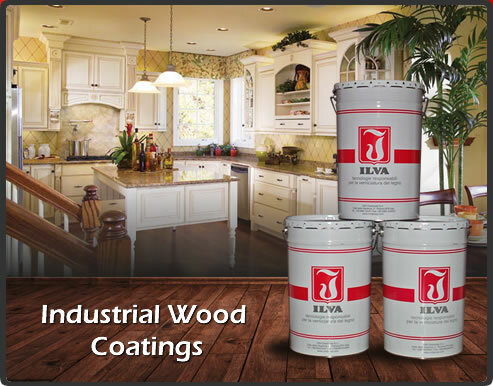 ILVA, founded in 1947, is a commercial division of IVM chemicals, a company which originated in 2007 from the merger of all IVM Group companies, specializes in wood coatings. ILVA products are manufactured in the largest and most modern manufacturing facility for the production of wood coatings in the world. IVM Chemicals is ISO 9001 certified. With more than 200 researchers in the IVM Group Laboratory using the most technologically advanced instruments, state of the art products are developed.